Acid attack on US students in France ?not seen as act of terror? French police say an acid attack that injured four American college students in Marseille is not being treated as a terrorist assault. 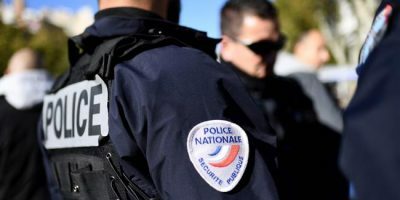 The four female students were sprayed in the face with acid on Sunday at a train station in the southern French port city of Marseille by a 41-year-old woman, who was quickly detained by police officials. The victims were all junior students studying abroad, three of them at Boston College?s Paris program. In a statement later in the day, Massachusetts-based Boston College quoted French police as saying that the assailant was a ?disturbed? woman, and that the attack was not thought at this point to be terror-related. The four, identified as Courtney Siverling, Charlotte Kaufman, Michelle Krug and Kelsey Kosten, were treated at a hospital for burns, the statement said. ?It appears that the students are fine, considering the circumstances, though they may require additional treatment for burns,? Nick Gozik, who directs Boston College?s Office of International Programs. ?We have been in contact with the students and their parents and remain in touch with French officials and the US Embassy regarding the incident.? A spokeswoman for the Marseille prosecutor?s office told The Associated Press on condition of anonymity that the suspect did not make any extremist threats or declarations during the attack. The source said there were no obvious indications that the woman?s actions were terror-related. A view of the Saint-Charles station, Marseille, southern France? The source, however, said two of the victims were ?slightly injured,? while the other two received treatment for shock. A source familiar with the investigation said the suspect had a history of mental problems, with no apparent past connections to extremism. Local newspaper?La Provence?also reported that the assailant made no attempt to escape the site of the attack. Over the past years, France has been hit by a series of attacks by?individuals suffering from mental disorders as well as extremist acts of violence, claimed by Takfiri terror groups based in the Middle East. Last month, a woman was killed in Marseille when a driver deliberately rammed into two bus stops. Local officials, however, said the incident was not related to terrorism. Barcelona lived through its own share of terror last month, when a van rammed into the tourist-filled Rambla Avenue in the center of Barcelona, killing at least 14 and injuring some 100 others. London police say a second man has been arrested in connection with the London subway attack. The attack also came two days after a bomb attack on a crowded London Underground train injured 29 people during the morning rush hour on Friday. Concerns about a possible terror attack in France ran so high that the French anti-terror police had to evacuate a British Airways flight on Sunday following ‘a direct threat’ against the jet. Police conducted a thorough security inspection of the plane on the tarmac of Charles De Gaulle Airport before allowing it to fly towards London?s Heathrow Airport. ?Apparently an individual has made a direct threat to this aircraft. We will all be led off the aircraft & baggage searched in due course,? one passenger tweeted. ?Everybody?s been individually searched by armed officers and given all clear. Now hold luggage being searched by dogs,? he added.